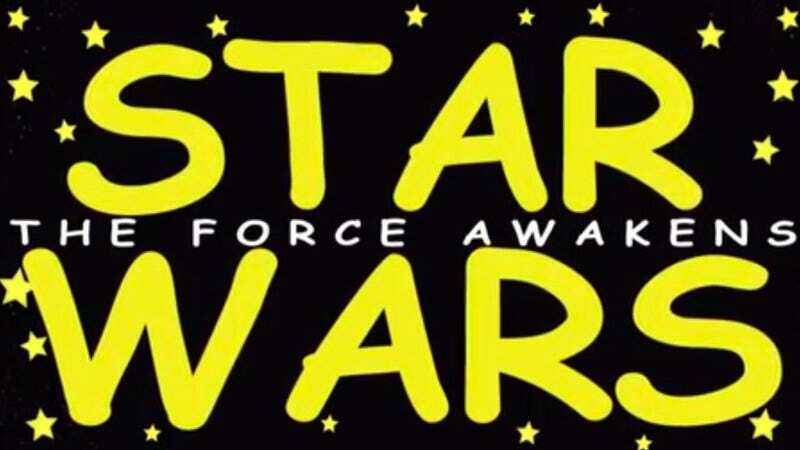 By now, everyone with an internet connection has had their nerd heartstrings tugged at by the pitch-perfect second Star Wars: The Force Awakens teaser trailer. It has it all: Desert planets, downed Star Destroyers, cool-looking new Stormtroopers, lightsabers and old friends, all tied together with John Williams’ iconic score. That’s worth mentioning because this recut of the trailer, made entirely with freely available clipart by IGN, is the opposite of all that—to great comedic effect. To describe too much more would ruin the fun, but suffice it to say the choice (necessity?) to replace Han Solo and Chewbacca with what looks like Crazy Ralph and a wild bear is an inspired one.